Health clubs, also called fitness centers or gyms, offer various services to help members meet their fitness goals. Increasing your physical activity helps prevent cardiovascular disease and type 2 diabetes, among other common health hazards. 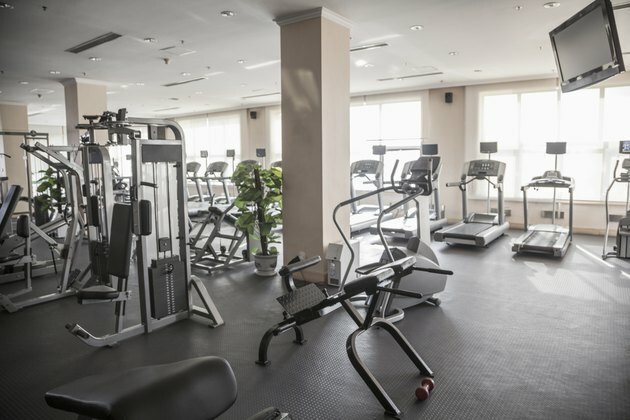 Health clubs are an effective way to add variety to your routine. However, you do not have to go to a gym to stay active. 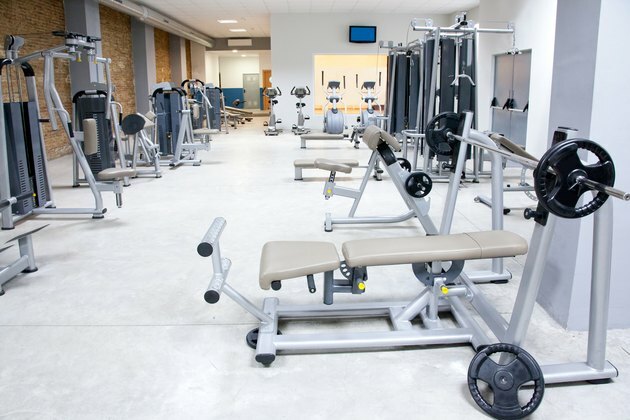 When considering a health club, it is important that the features are worth the price you pay. 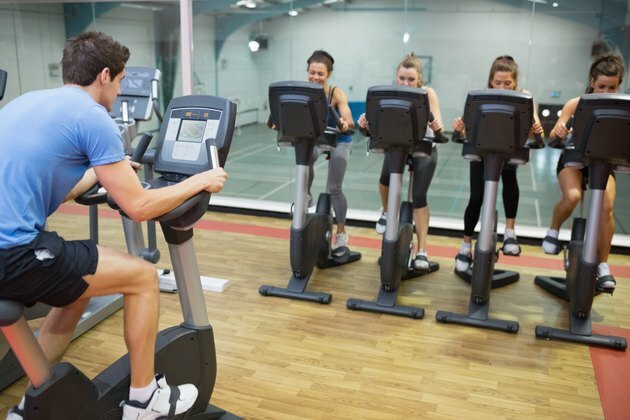 The ultimate goal of a gym is to help make its members healthier. Some health clubs require that new members undergo a health assessment. You will be weighed and a staff member will measure your body fat composition. These tests should not replace a proper wellness examination from your doctor. You should also consult your doctor before joining a health club, particularly if you are new to exercise. 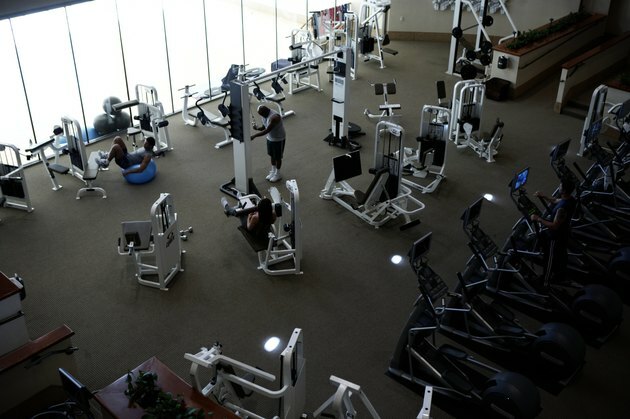 Unlike a basic household or housing-complex gym, health clubs provide variety. Gyms offer machines, free weights and also hold classes, such as kickboxing, yoga and dance. Variety helps decrease boredom, which is one reason people quit exercising. Health clubs are also a way to meet other people who can help keep you motivated. This is particularly the case if you take workout classes. Some gyms offer free childcare services for exercising members. Most health clubs employ personal trainers. Keep in mind that they charge by the hour, and that this cost is separate from your basic health-club membership fees. Some health clubs give you a free session with a trainer when you join. Personal trainers help safely take your workouts to the next level. At the same time, you will work harder than ever before. A trainer helps guide you through both strength training and cardiovascular workouts. You do not have to sign up with a trainer immediately upon joining a health club, but only if you feel you need to increase the intensity of your workouts under professional guidance. Pick a trainer with an accredited national certification. Gym membership is costly, and many have difficult cancellation policies. Many members also quit going to health clubs due to a lack of motivation or time, but still end up paying monthly fees. The purpose of a gym is to help you get in shape. But it is also a business. If you sign a contract for a certain number of months, do not expect that you can break it after a few weeks. To avoid this headache, do your homework and make sure that you are committed to working out at a particular health club.